Every year there is always the dilemma with certain fruits and veggies. Do I can it or do I freeze it? Normally when I put up rhubarb I freeze it. It’s simple and easy to put away and easy to thaw and use. But this year I decided I’d rather save the freezer space for more important items, (I’m hoping to stock up on some fresh local chickens later this summer!) and I decided that canning rhubarb would be the way to go. Canning Rhubarb really isn’t any more difficult than freezing it, but with just a few extra steps you can have a shelf stable product that will make delicious Rhubarb Crumble and Old Fashioned Rhubarb Bars all winter long! If you haven’t done much canning before you will want to check out my YouTube page first for some beginner canning videos to get you started. For every 2 pounds of rhubarb you will want roughly 3/4 cup of sugar. Yes, it may seem like a lot but in case you haven’t noticed…rhubarb is sour. One pound of rhubarb will fill roughly 1 pint. 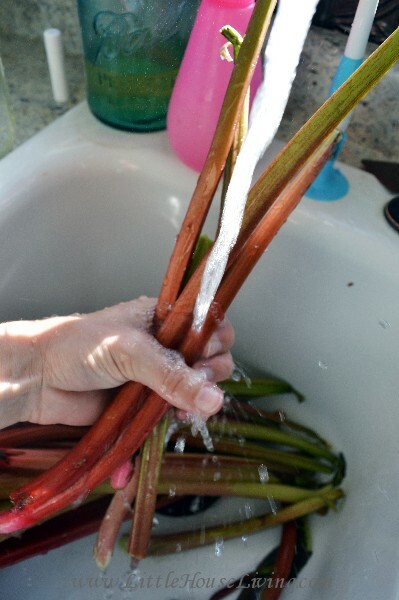 Start by cleaning up your rhubarb. 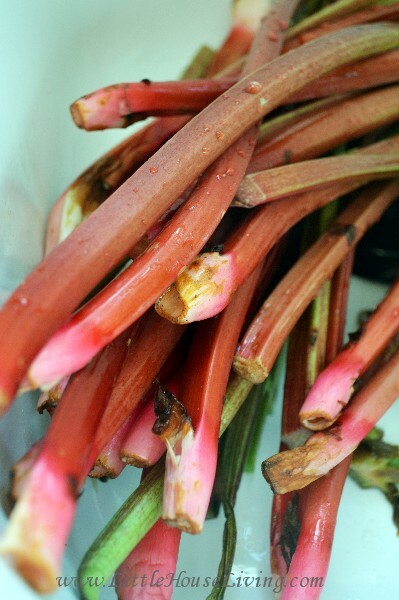 You can get more info on harvesting rhubarb here. Cut off the yucky parts on the ends. Dice up the rhubarb and place it in a large bowl. 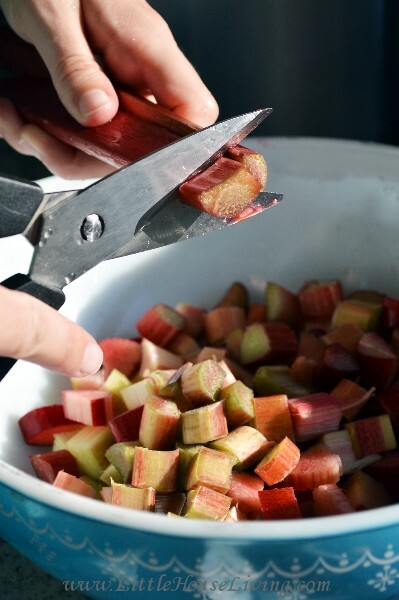 Use kitchen shears to cut your rhubarb, it will make your life so much easier. I promise. 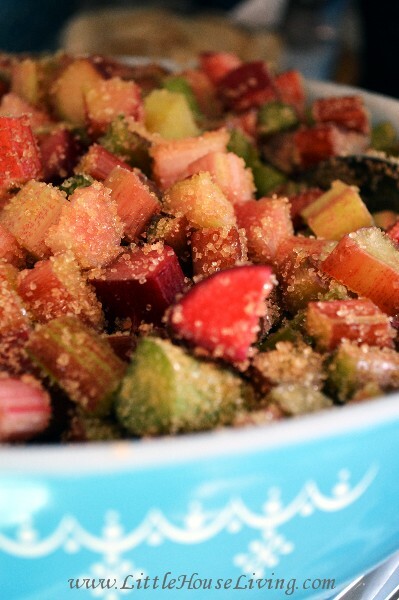 Add your sugar into the bowl with your diced rhubarb. Stir it around so it coats the rhubarb and let it all sit in the bowl for about 30 minutes. You want the rhubarb to create a juice before the next step. Pour the rhubarb/sugar mixture into a large stockpot and turn it on low. Cook the rhubarb until it is soft. You can cook the rhubarb for less time if you would like it to retain a little more of a firm form. Ladle the rhubarb into pint jars. Make sure to leave at least 1/2 inch of head space. Tighten the lids and rims on. Process in the hot water bath canner for 15 minutes. Remove and let them cool without disturbing them for at least 12 hours. Make sure the lids are sealed before putting them away in the pantry. Love rhubarb? You might enjoy this Rhubarb Smoothie Recipe! Please check with your local extension office on changes in temp/times/high altitude. 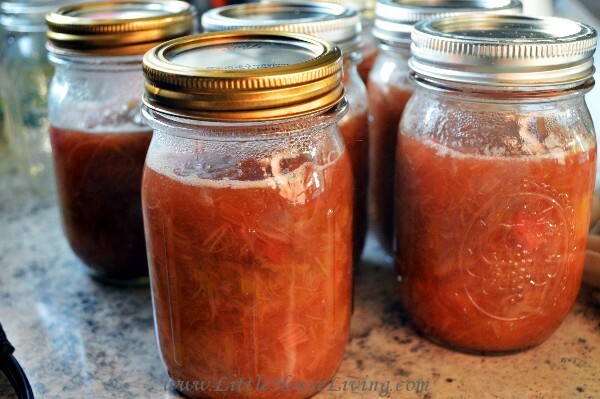 Have you ever tried canning rhubarb? What kinds of yummy things do you make with your rhubarb? I just made rhubarb pie filling and canned that. I use clear-jel..it holds up really well in storage. I am now doing the same with my strawberries. Can you tell we like pie? Actually,the fillings work for all sorts of things! G’day! love rhubarb and would love to learn more about canning! Viewed as part of the Wine’d Down Wednesday 40 Party! I would can it the same way but skip the cooking down step and just place right in jars after you let it sit in the sugar. 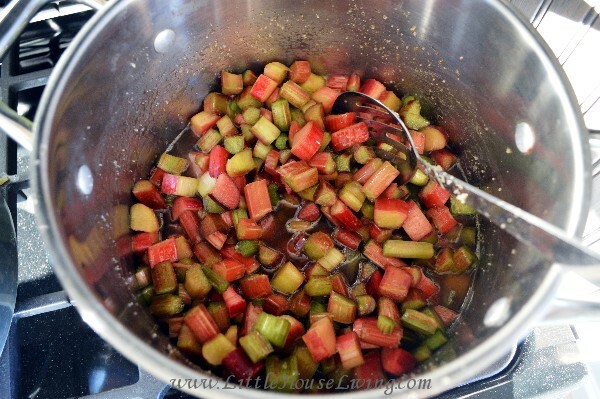 Fill a stainless steel or dutch oven with water and blanch the rhubarb in boil water for 1 minute. 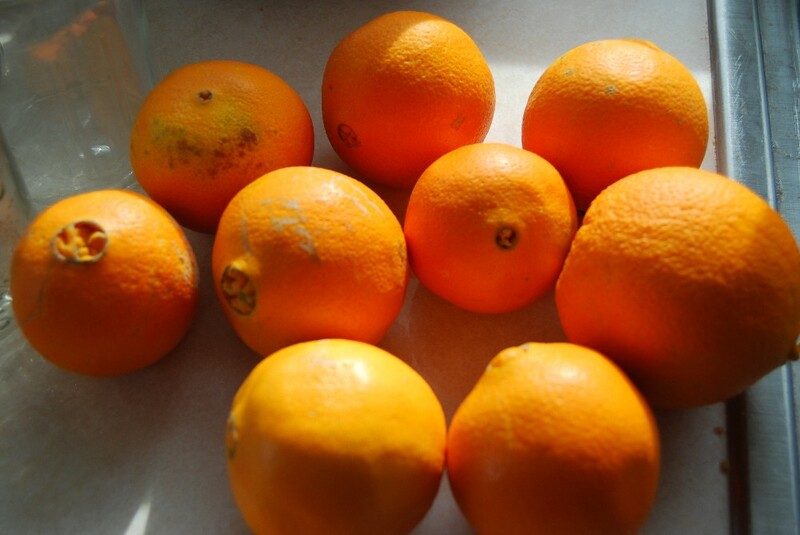 Drain but keep heated fruit in a covered bowl or pot. Combine sugar, Clear Jel, and water in a pot stirring on medium heat until mixture thickens and begins to bubble. 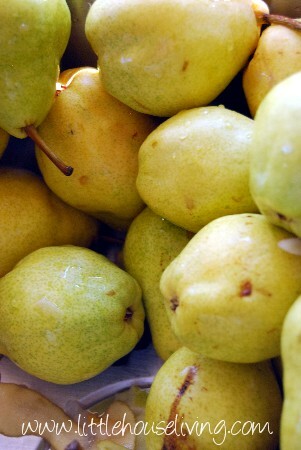 Add lemon juice and boil 1 minute, stirring constantly. Fold in drained rhubarb immediately and fill 1 quart size hot jars with mixture without delay, leaving 1 1/2 inch headspace. Remove air bubbles and adjust headspace if needed. Wipe rims of jars with a dampened clean paper towel. 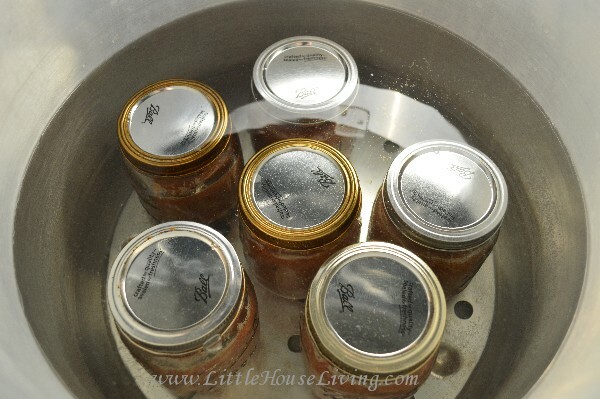 Adjust hot lids/rings and process in water bath canner for 30 minutes at a full rolling boil. thanks so very much I will have to try this…..
1/2 inch head space is from the very top of the jar. And was taught that…it looks like urs is way below . They said that is how botulism sits in. The rhubarb will cook down if you do not cook it fully first so it may sit down lower in the jar than expected. 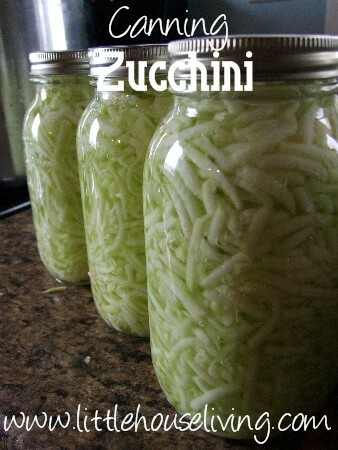 As long as jars are properly processed and sealed there should not be a risk of botulism. 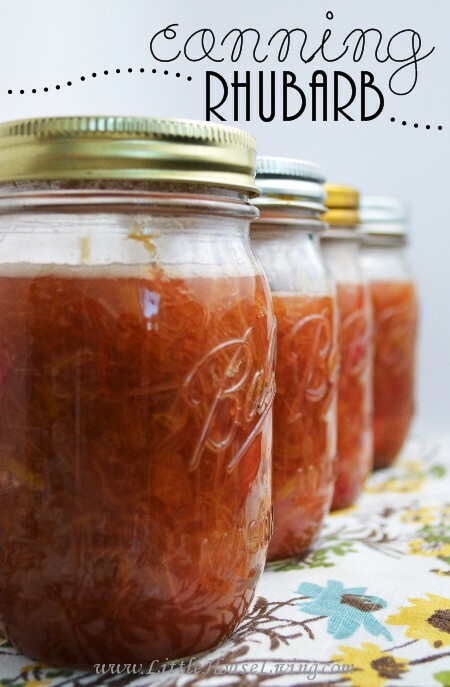 Thank you for the wonderful information on canning rhubarb and for all you have done. I’ve been with you for quite some time and now you live just a few miles from me. I would like to gift you with a few perennial flowers which I have divided for over 30 years. Please contact me @ my email and I will give you more info. Thanks for sharing on the Four Seasons Bloghop! Ya”ll come back now! Sandra from Scrumptilicious 4 You! Hi Merissa love your site. I use the juice of half to one lemon when cooking rhubarb and find I can use a lot less sugar. a good consistency for pie filling? Can’t rhubarb cooked down be used for pie filling as well? 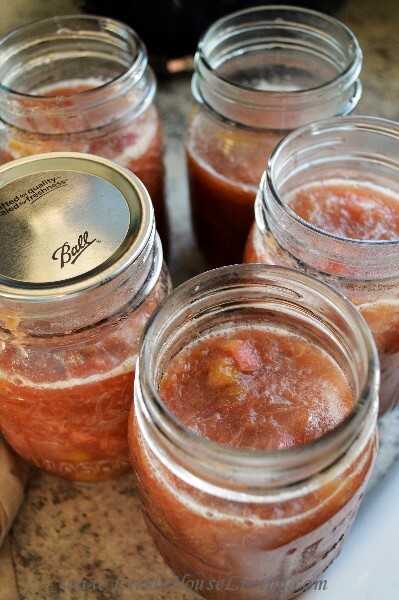 can you use Frozen Strawberries with fresh rhubarb when canning? Yes you can but be sure and ask your local extension office about how that may affect the time or processing time of canning based on your altitude.